At Beyer Carpet Cleaning “We Love Dirty Carpets”. Beyer Carpet Cleaning wants to remove those awful looking stains, spots, and black marks from heavy traffic on your carpets. You may not realize how dirty your carpets really are until you’ve looked at them. All of sudden you have black spots that have shown up out of no where! And where did those other stains come from? Are the kids eating and drinking in the living room or their bedrooms without permission again? Well do not fear because Beyer Carpet Cleaning is here!! Beyer Carpet Cleaning offers the best in steam cleaning. Our professional equipment and treatments will get those ugly stains right out. Our steam cleaning professionals will treat your carpets with our pretreatment that is made up of enzyme and emulsifier solvents. These solvents go deep into the carpet to get to the root of the stain. It will then bring everything to the surface so we can steam clean all that dirt and junk right out. Carpet cleaning San Antonio is that simple. It is very manual and tough our technicians but when it comes to carpet cleaning your dirty carpets don’t stand a chance. Do not allow a carpet cleaner to use soap to clean your carpets. Soap leaves residue in your carpets and your carpets become dirty quicker and it can ruin your once beautiful carpets in a heart beat. All those do it yourself cleaners are no good because they do use soap. So instead of wasting your time and money just call Beyer Carpet Cleaning. We can handle any job and we will get it done right. Don’t let carpet cleaning ruin your day because you wasted time cleaning your carpets yourself or waited all day for a carpet cleaner to arrive. Beyer Carpet Cleaning is prompt and on-time every time. Our technicians call ahead to let you know their estimated time of arrival. 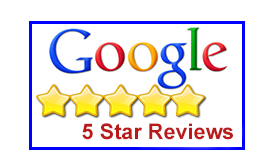 Beyer Carpet Cleaning is a professional carpet cleaning company in San Antonio so we want to make our customers happy. Give us a call today! 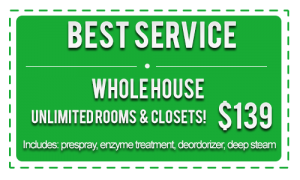 Use this coupon on your next carpet cleaning. Find out how good we really are and see what our customer have to say about us!